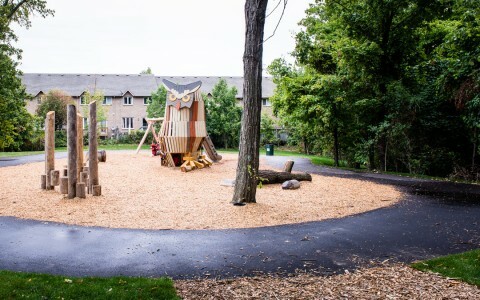 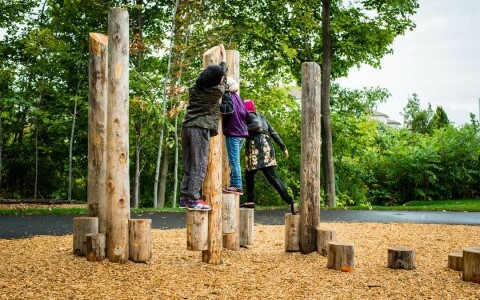 The mature trees surrounding this Hamilton parkette inspired the City’s request for a woodland theme for this quaint neighbourhood play space. Research on local owl species led to the selection of the Eastern Screech Owl as the inspiration for the main climbing feature. The owl can be explored in many ways, including through climbing up inside the owl’s body to the viewpoint high above! 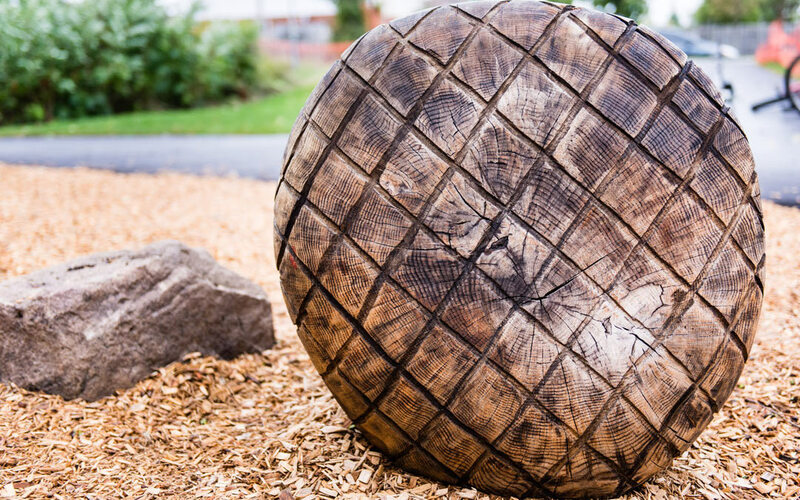 The play space is animated by a food-chain story. 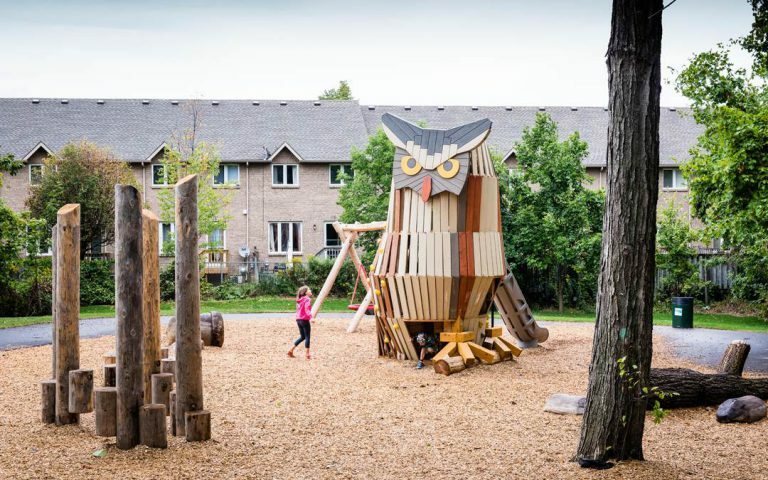 Quietly observing its surroundings, the owl is on the hunt for food. It sits silently perched, observing its surroundings and scouting for prey. 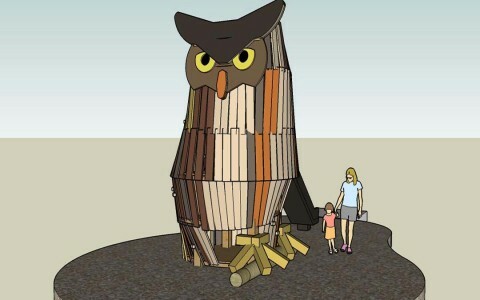 Nearby, some mice (chainsaw carved from ancient oak timbers) try to hide from the owl’s watchful glare. The mice are focused on collecting acorns to save away for cold winter days when food is scarce. Will the mice get the acorns or will the owl capture their mice prey first? 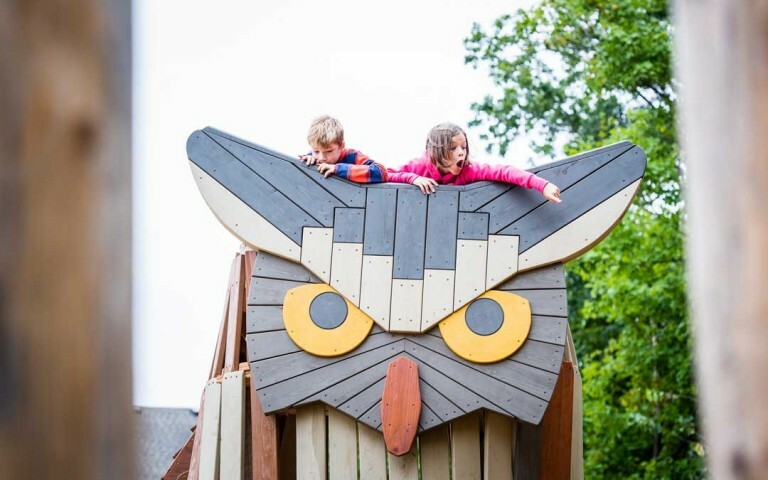 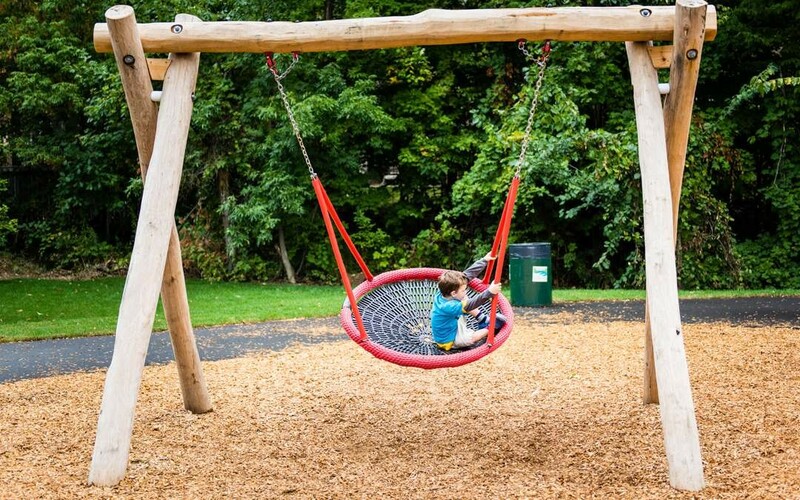 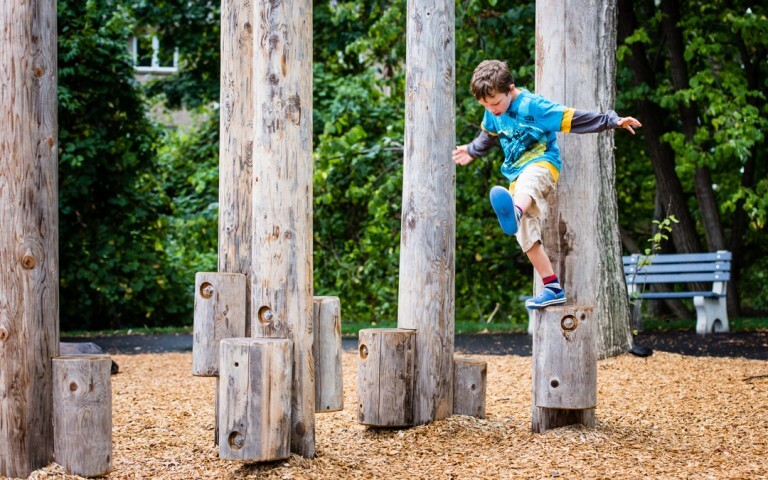 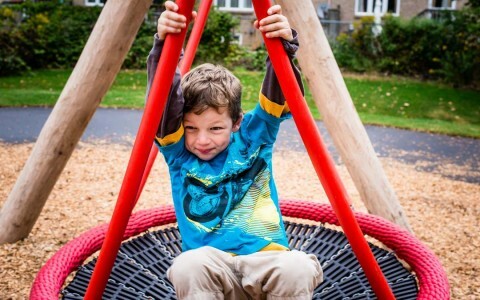 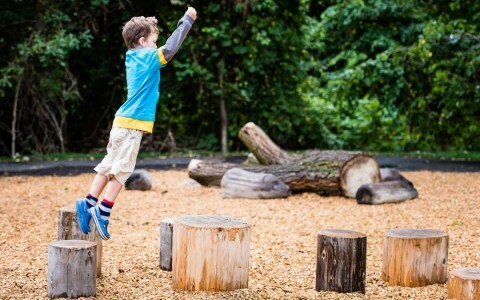 In addition to the owl sculpture and chainsaw-carved mice and acorns, this playscape is complimented by climbing posts with timber steppers, fallen logs, boulders and a basket swing.